ATC SCM19 review | What Hi-Fi? 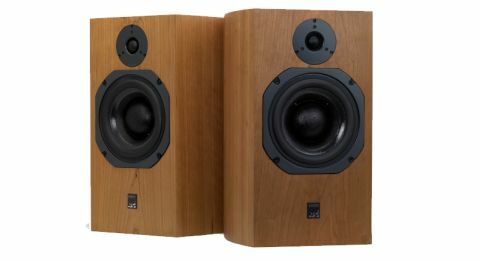 Regular readers will know we’re big fans of ATC’s £1200 standmounters, the SCM11s. They’re multiple Award-winners, and continue to set the standard at their price. When it comes to insight and honesty we haven’t heard any better. ATC has expanded on the formula and come up with the SCM19s. The nicely made sealed-box cabinet of the ’11s has grown in volume to 19 litres – ATC’s model numbers refer to the internal volume of its speakers – and the mid/bass driver changes to the company’s highly developed 15cm unit. This driver has served in the brand’s premium standmounters for years. This mid/bass really is something unusual. It uses a cone made of doped polyester weave onto which a 75mm dome is grafted in a bid to improve the unit’s performance at the integration point. Take one of these drivers out of the 19s and you’ll find it’s a heavily engineered unit with a huge magnet assembly. It weighs-in at a hefty 9kg, accounting for almost half the weight of the speaker. The big news isn’t the mid/bass though. That honour belongs to the new tweeter (shown above). This 25mm soft dome has been in development for years and is made in-house – quite an accomplishment for such a small company. Most rivals buy off-the-shelf options from OEM drive unit suppliers. The two drivers cross over at an entirely conventional 2.5kHz. While the SCM19s aren’t hard speakers to drive they really do excel with quality amplifiers that have a bit of poke. Sensitivity is below average at 85dB/W/m, which tends to reinforce this impression. We got great results with Burmester’s 032, Rega’s Elicit-R as well as our reference Bryston BP26/4B SST2 pre/power combination. Given a day to settle, these standmounters turn in a great performance. We start off listening to a CD-rip of Clair De Lune from our reference Naim NDS/555PS streamer and are impressed by what we hear. Twin binding posts allow biamping or biwiring if required. Those dynamic skills come into even sharper focus when we play Tchaikovsky’s 1812 Overture. These ATCs have no trouble delivering the piece’s crescendos with power, even at very high volume levels. There’s an impressive degree of composure here, the monitors refusing to compress or harden up even when pushed hard. We also like the SCM19s’ ability to render a large-scale soundstage and populate it with well-focused instruments. Things stay stable even as the piece’s complexity increases. Moving onto Prince’s Love shows that these boxes like to party too. They deliver the song’s relentless rhythmic momentum with enthusiasm. The bass kicks hard while the drum machines attack with determination. Prince’s vocals are handled in a crisp and articulate manner, but they also lack nothing in terms of body or natural warmth.